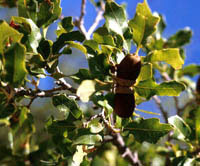 Vasey Oak is a premier tree for use in landscaping in dry areas. 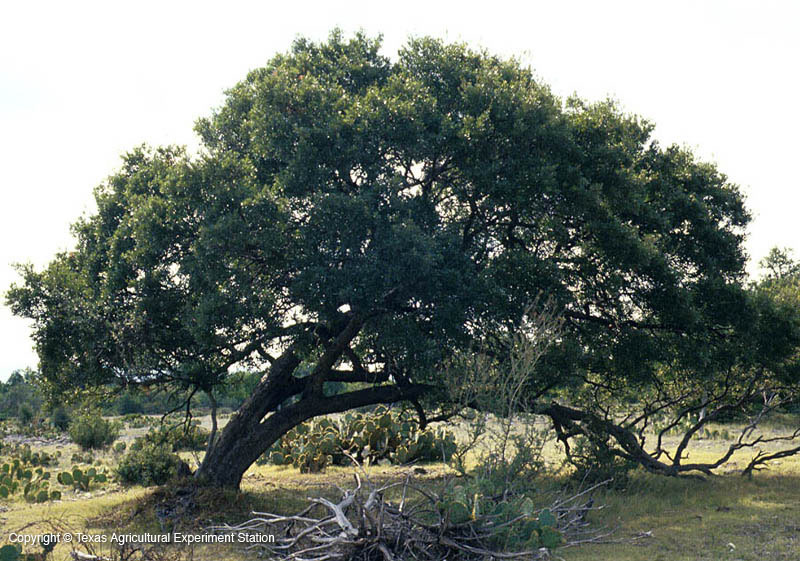 It can be a small tree, from 25 to 40 feet, or a large shrub that forms thickets over a wide areas. 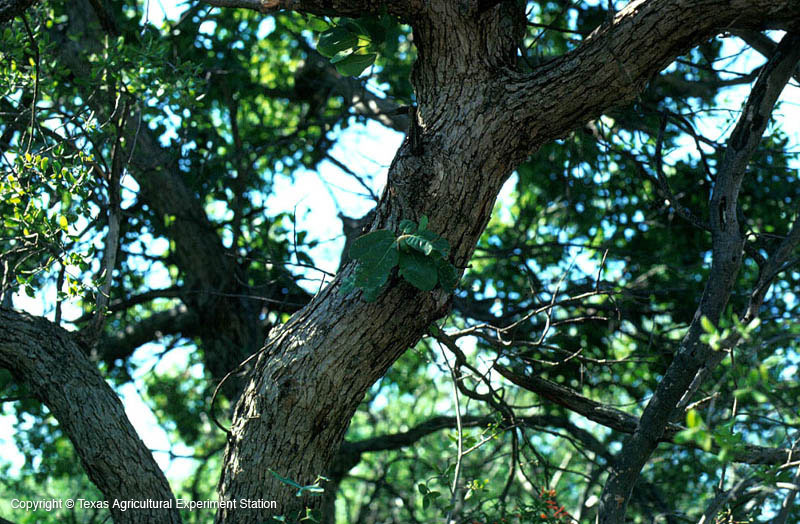 Its leaves are semi-evergreen or persistent and bright glossy green throughout most of the year. 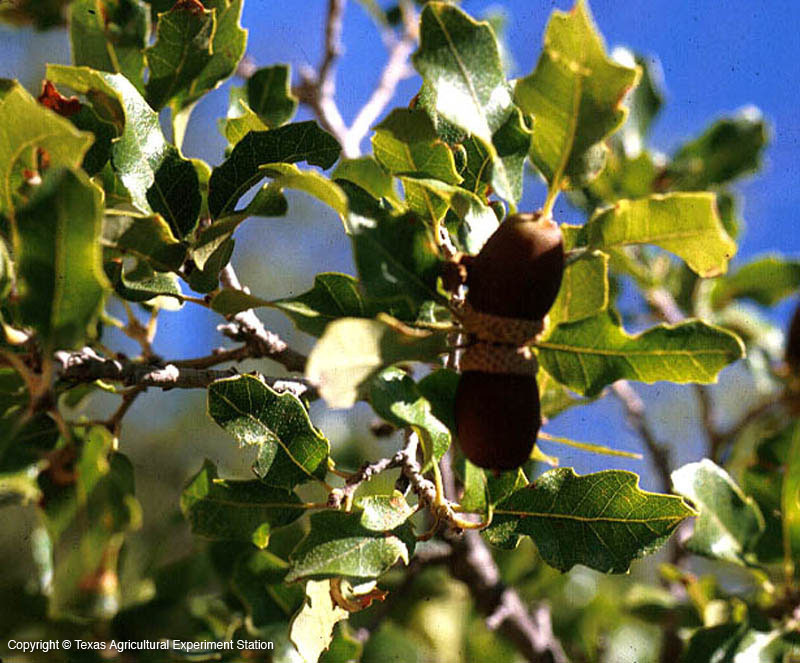 Vasey Oak is extremely drought tolerant, and grows on limestone or igneous soils in the western Edwards Plateau and Trans-Pecos. 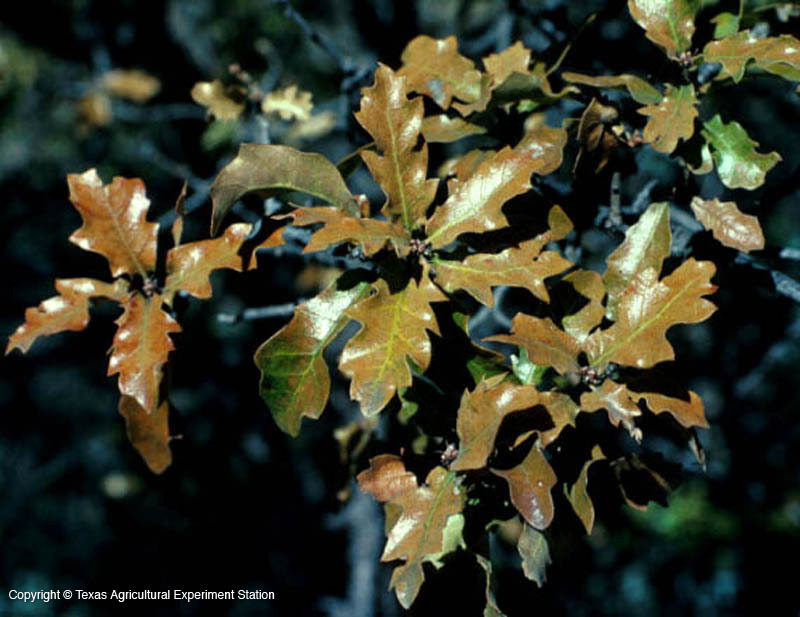 It is sometimes confused with Live Oak, Q. virginiana, but Vasey Oak has thinner leaves with more teeth, is somewhat deciduous, and the bark is silvery and scaly, vs. Live Oak's dark and furrowed bark.